3rd - General Sir Douglas Haig promoted Field-Marshal (see December 10th, 1915). 3rd - Focsani taken by German forces. 5th - Braila taken by German forces. 6th - Last Russian and Rumanian forces evacuate the Dobrudja (see August 25th, 1916, and December 3rd, 1918). 3rd - Action of Beho-Beho begins. 4th - Action of Beho-Beho ends. 6th - "Inter-Allied Chartering Committee" established for chartering shipping (see December 3rd, 1916, and November 3rd, 1917). 3rd - First units of Portuguese Expeditionary Force land in France (see August 8th, 1916, and June 17th, 1917). 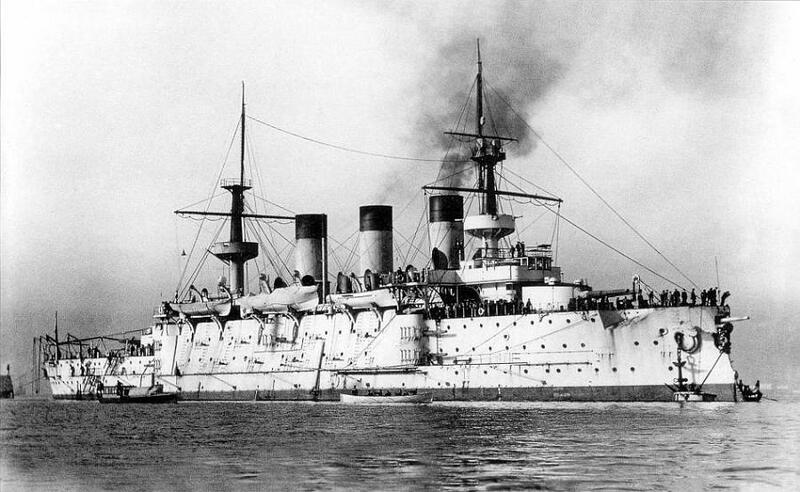 4th - Russian battleship "Peresvyet" (left, reclassified as cruiser - Photo Ships) sunk by mine off Port Said. 10th - Belgian Government reply to President Wilson's Note placing themselves in hands of Allies (see December 18th, 1916, and September 15th, 1918). 11th - Austro-Hungarian and German Governments issue Note repudiating responsibility for continuance of war, and declaring that they will prosecute the war to successful end (see December 12th and 30th, 1916, and September 15th, 1918). 8th - M. Tropov, Russian Premier, resigns and is succeeded by Prince Golitsin (see November 24th, 1916, and March 13th, 1917). 9th - Action of Rafah. Last Turkish troops in Sinai recross the frontier (see January 26th, 1915). 9th - Battle of Kut, 1917, begins (see December 13th, 1916, and February 23rd and 24th, 1917). 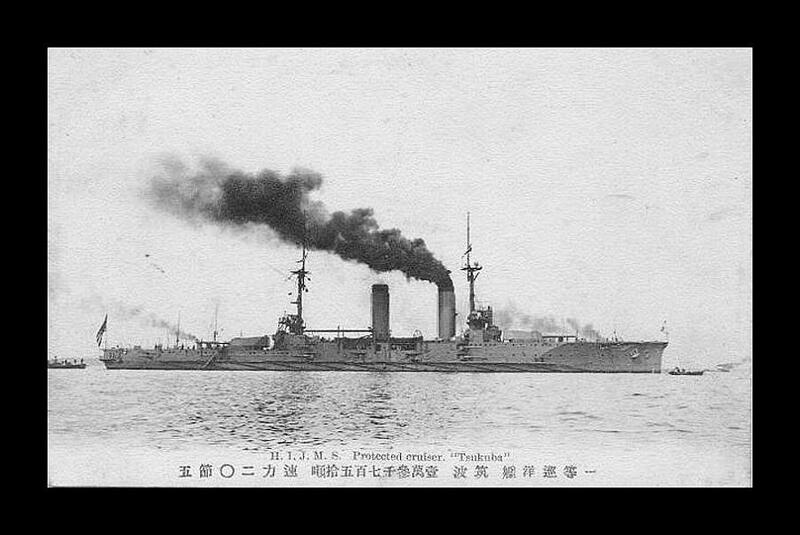 14th - Japanese battle cruiser "Tsukuba" (below - Photo ships) sunk by internal explosion in harbour. 9th - H.M.S. "Cornwallis" sunk by submarine in Mediterranean. 17th - Inter-Allied Conference ("Commission de Ravitaillement") (Russia, France, Great Britain and Italy represented) assembles at Petrograd to discuss war policy, finance, supplies and co-operation (see February 20th). 19th - German Government send instructions to German Minister in Mexico (von Eckhardt) to negotiate alliance with Mexico and Japan against the United States (see February 28th). 20th - General Hoskins succeeds General Smuts in command of British forces, East Africa (see February 19th, 1916, and May 30th, 1917). 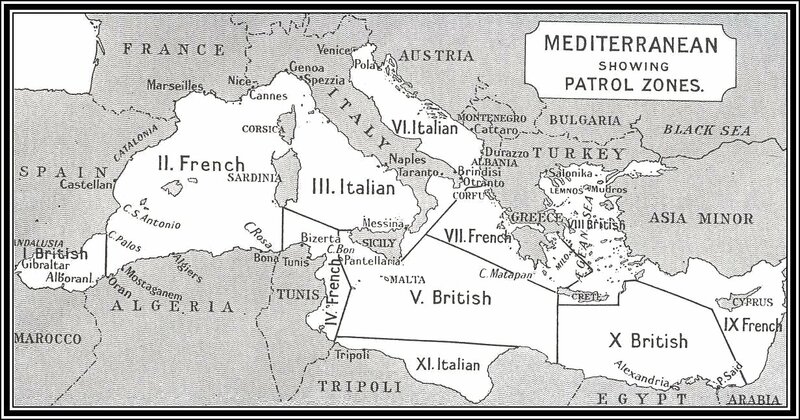 15th - Italy accedes to Franco-British Convention as to naval prizes (see November 9th, 1914). 24th - Greek Government make formal apology to the Allies for the occurrences of December 1st, 1916. 27th - M. Pokrovski, Russian Foreign Minister resigns (see December 12th, 1916, and March 15th, 1917). 23rd - Harwich flotilla action with German 6th torpedo boat flotilla in the North Sea: H.M.S. "Simoom" sunk. 25th - Southwold and Wangford on the Suffolk coast shelled by German destroyers. 31st - German Government announce forthcoming "unrestricted" submarine warfare and threaten to sink hospital ships (see February 1st). 3rd - United States of America sever diplomatic relations with Germany (see April 6th). 4th - Sa'id Halim, Turkish Grand Vizier, resigns (Appointed in 1913): succeeded by Talaat Pasha (see October 13th, 1918). 3rd - Affairs in the Siwa Oasis (West Egypt.) begin (see 5th). 1st - German "unrestricted submarine warfare" begins (see January 31st). 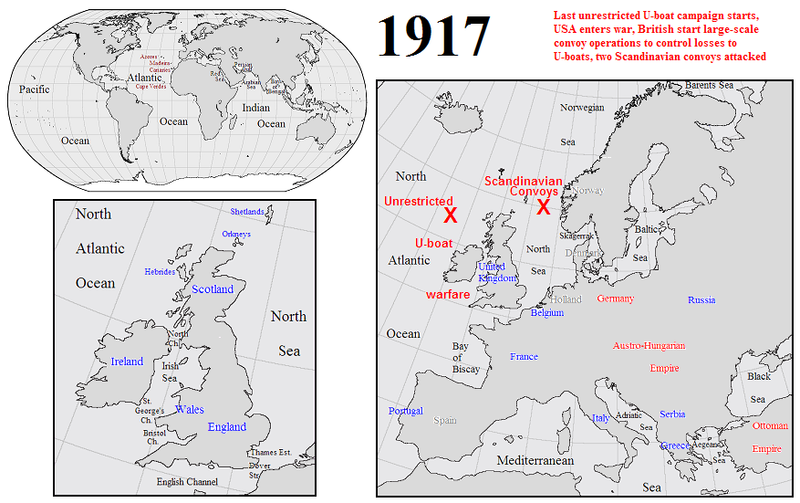 1st - Norwegian Government forbid all foreign submarines to use Norwegian territorial waters (see October 13th, 1916). 5th - Affairs in the Siwa Oasis end (see 3rd and 8th). 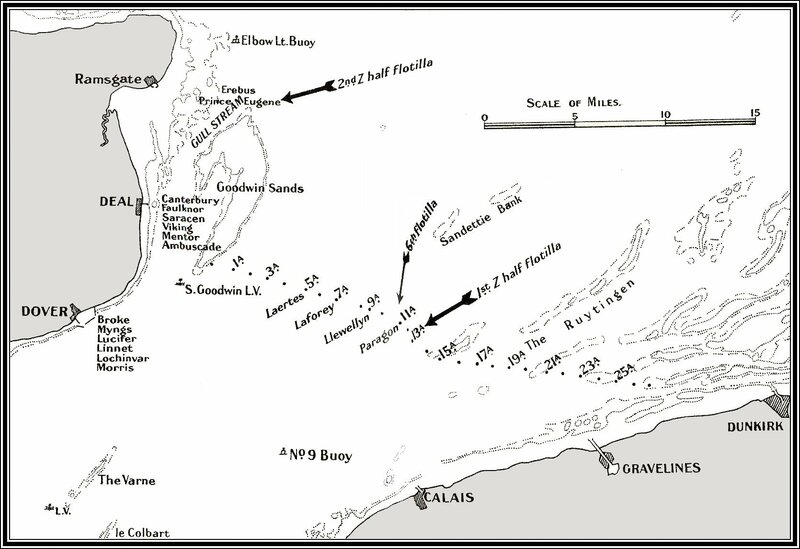 8th - British operations against the Senussi come to an end (see 5th, and November 23rd, 1915). 14th - British Government inform Japanese Government that they will support Japanese claims to German possessions north of the Equator if it is understood that Japan will support similar British claims south of the Equator (see December 16th, 1914). 17th - Australian War Government formed. 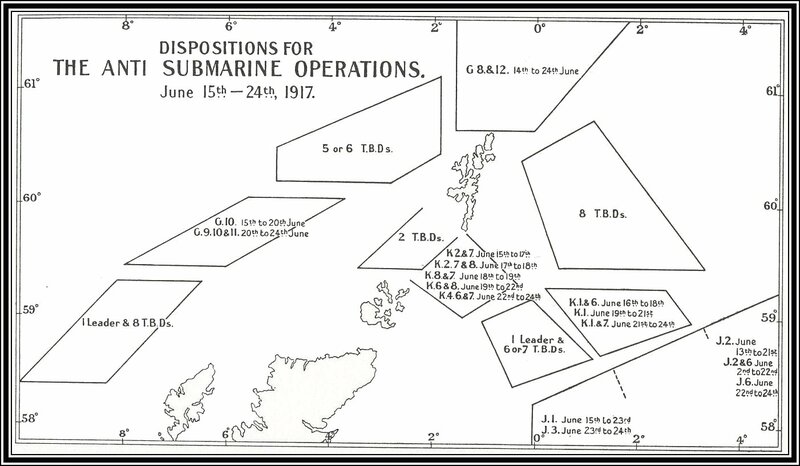 13th - Scandinavian Governments' joint protest against German submarine warfare published. 20th - Inter-Allied Conference ("Commission de Ravitaillement") at Petrograd dissolves (see January 17th). 25th - German forces withdraw from front line positions on the Ancre (see November 18th, 1916, and March 14th, 1917). 23rd - Kut reoccupied by British forces (see 24th, and January 9th). 24th - Battle of Kut, 1917, ends. Turkish Army retreats from Kut (see 23rd, and January 9th). 25th - British S.S. "Laconia" (below - Photo Ships) sunk by submarine (see 27th). 25th - German destroyer raid on Margate and Broadstairs - on the Dover Barrage (see March 18th). 28th - German proposals to Mexico for alliance against the United States published in the American Press (see January 19th). 26th - Anglo-French Conference assembles at Calais to discuss operations, the co-operation of the armies and the co-ordination of operations by the French Commander-in-Chief (continued on 27th) (see March 12th). 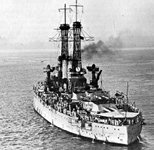 26th - President Wilson in address to Congress asks for power to arm merchant ships (see February 21st, 1916, and March 12th, 1917). 27th - President Wilson states that he considers sinking of "Laconia" the "overt act" for which he was waiting (see 25th, and April 6th). 2nd - Hamadan (Western Persia) recaptured by Russian forces (see August 10th, 1916, and March 16th, 1918). 1st - British hospital ship "Glenart Castle" (below - Photo Ships) damaged by mine between Havre and Southampton (see February 26th, 1918, when sunk). 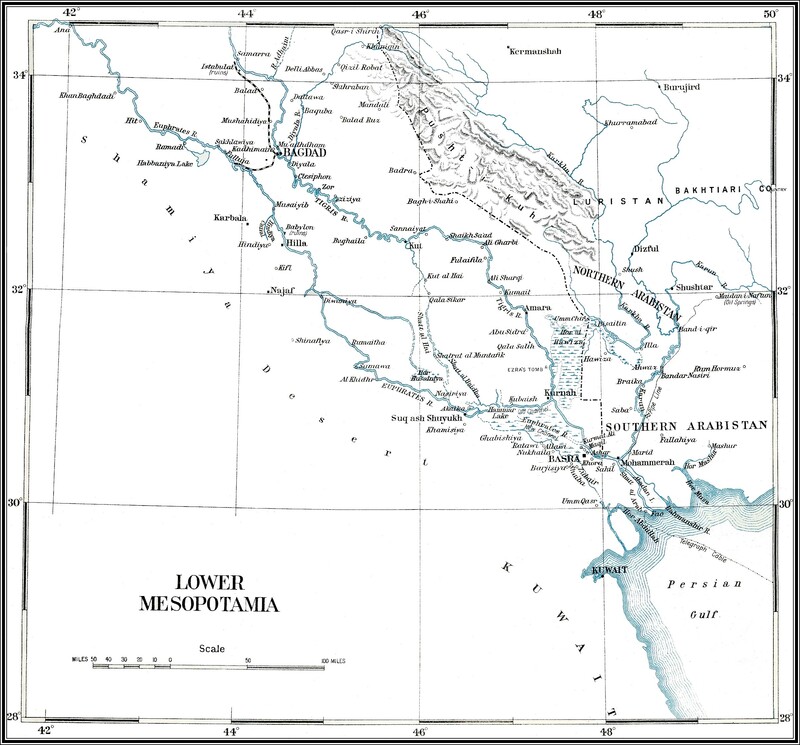 7th - Passage of the Diyala (near Baghdad) (7th/10th). 11th - Baghdad occupied by British forces (see February 25th). 11th - Kirmanshah (Western Persia) again taken by Russian forces (see July 1st, 1916, and February 25th, 1918). 14th - China severs diplomatic relations with Germany (see August 14th). 17th - M. Briand, French Premier, and Minister for Foreign Affairs, resigns (see 20th, and October 30th, 1915). General Roques, French Minister for War, resigns (see 20th, and March 16th, 1916). 13th - Prince Golitsin, Russian Premier, removed from office by Revolutionary party (see 12th, 15th, and January 8th); General Byelyaev, Russian Minister for War, removed from office by Revolutionary party (see 12th, 15th, and January 17th). 14th - New Provisional Government proclaimed in Russia (see 12th, 22nd, and November 8th). 15th - Nicholas II, Tsar of Russia, abdicates (see 12th, and July 16th, 1918). Prince Lvov appointed Russian Premier (see 13th, 14th, and July 19th). M. Milyukov appointed Russian Foreign Minister (see 14th, January 27th, and May 16th). General Guchkov appointed Russian Minister for War (see 13th, 14th, and May 16th). 12th - Anglo-French Conference assembles in London to discuss relations of British and French commanders in the Western Theatre, and employment of prisoners of war in the fighting zone (see February 26th, 1917, and March 26th, 1918). 14th - German retreat from the Somme to the "Hindenburg Line" begins (see February 25th and April 5th). 17th - Roye occupied by French forces (see August 30th, 1914, and March 26th, 1918). 17th - Bapaume occupied by British forces (see September 26th, 1914, and March 24th. 1918). 18th - Peronne and Noyon occupied by Allied forces (see September 21st, 24th, and 25th, 1914; and March 24th and 25th, 1918). 17th - German airship "L.-30" destroyed at Compiegne when returning from raid on England. 12th - Russian Revolution begins (see 13th, 14th and 15th). Allied Offensive in Macedonia continues. 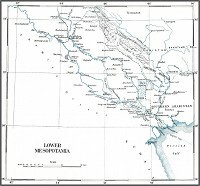 14th - Action of Mushaidiya. 17th - Karind (West Persia) occupied by Russian forces. 12th - United States Government announce arming of all merchant vessels in the war zone (see February 26th). 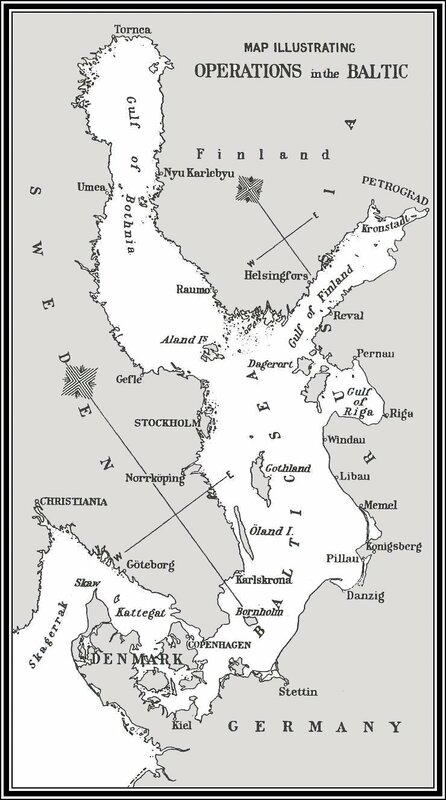 16th - Mutiny breaks out in Russian Baltic Fleet (see 12th, and June 21st). 18th - German destroyer raid on Ramsgate and Broadstairs - on the Dover Barrage (see April 26th). 22nd - Provisional Government in Russia recognised by Great Britain, France, Italy, United States of America, Rumania, and Switzerland (see 14th). 20th - First meeting of British Imperial War Conference (see December 19th, 1916). 20th - M. Ribot succeeds M. Briand as French Premier and Minister for Foreign Affairs (see 17th, December 12th, 1916, and September 9th, 1917). M. Painleve appointed French Minister for War (see 17th, September 12th and November 14th). German retreat from the Somme to the "Hindenburg Line" continues. 23rd - Allied Offensive in Macedonia ends (see 11th). 24th - British offensive into Palestine begins (see 26th). 25th - Qasr-i-Shirin (Western Persia) again taken by Russian forces (see June 20th, 1916, and July 8th, 1917). 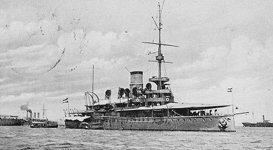 22nd - German raider "Moewe" returns to Kiel from her second cruise (see November 26th, 1916). 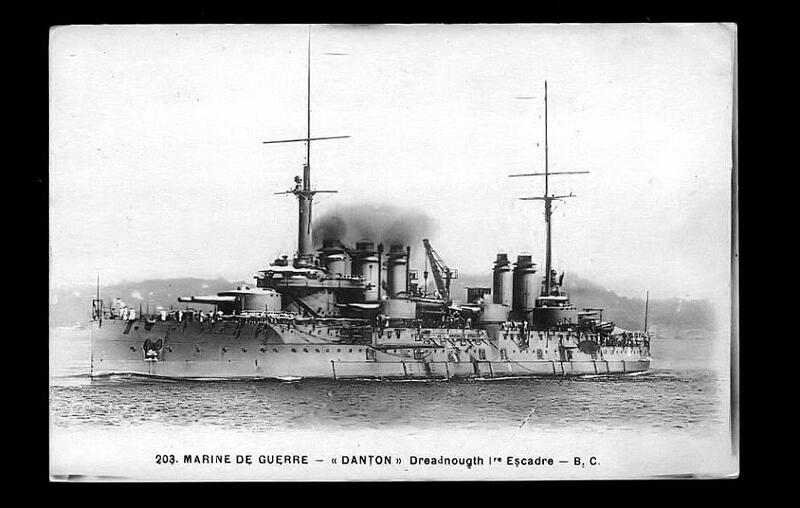 19th - French battleship "Danton" (below - Photo Ships) sunk by submarine in Mediterranean. 21st - British hospital ship "Asturias" torpedoed off Start Point. 30th - Russian Provisional Government issue Proclamation acknowledging the Independence of Poland (see 14th, November 5th, 1916, and April 5th, 1917). 31st - The Emperor of Austria makes secret proposal, conveyed in a letter to Prince Sixte of Bourbon, to the French President (M. Poincare) to open conversations with a view to peace (see April 11th, 1918). 26th - First Battle of Gaza begins (see 27th). 27th - First Battle of Gaza ends (see 26th, and April 17th). 30th - British hospital ship "Gloucester Castle" torpedoed between Havre and Southampton, but towed in. 5th - British Government inform Russian Provisional Government of their adherence to the principle of an independent and united Poland (see March 30th and September 12th, 1916, and January 10th, 1917). 6th - United States of America declare war on Germany (see February 3rd). 8th - Austria-Hungary severs diplomatic relations with United States of America, (see December 7th). 5th - German retreat to the "Hindenburg Line" completed (see March 14th). 4th - Khanaqin (North-East of Baghdad) again occupied by Russian forces. 3rd - H.M.S. "Jason" (below - Photo Ships), torpedo gunboat sunk by mine off west coast of Scotland. 9th - Russian Provisional Government (see March 14th) issue Proclamation to Allied Governments declaring in favour of self-determination of peoples and a durable peace. 10th - Bulgaria severs diplomatic relations with the United States of America. 11th - Brazil severs diplomatic relations with Germany (see October 26th). 13th - Bolivia severs diplomatic relations with Germany. 9th - Battles of Arras, 1917, begin with Battle of Vimy Ridge (see 14th) and First Battle of the Scarpe, 1917 (see 23rd, and May 4th). 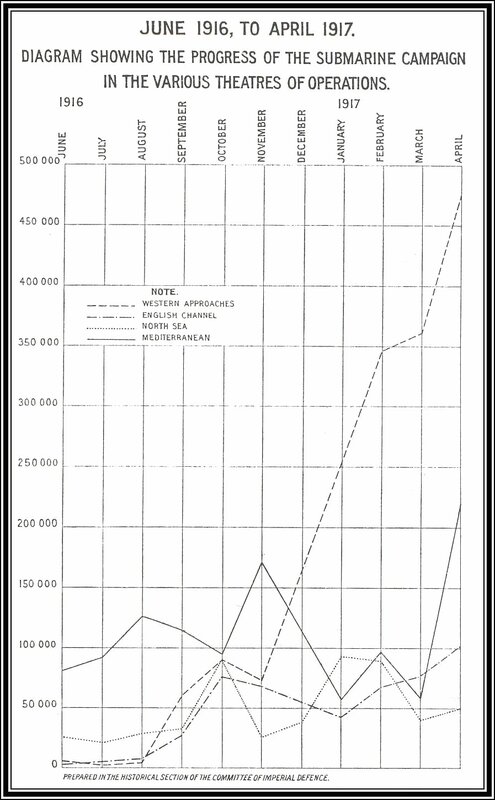 14th - Battle of Vimy Ridge and First Battle of the Scarpe end (see 9th). 9th - Admiral Sims, United States Navy, arrives in England (see June 18th). 10th - British hospital ship "Salta" mined off Havre. 20th - Turkey severs diplomatic relations with the United States of America. Battles of Arras, 1917, continue. 16th - French 1917 Offensive begins with the Second Battle of the Aisne (see 20th). 17th - "Battle of the Hills" (Champagne) begins. ("La Bataille des Monts," otherwise called the Third Battle of Champagne) (see 20th). 20th - French Offensive stopped (see 16th): Battles of the Aisne and of "The Hills" end (see 16th and 17th). 17th - Second Battle of Gaza begins (see 19th, and March 27th). 19th - Second Battle of Gaza ends (see 17th, and October 27th). 22nd - Action of Istabulat (21st/22nd). 17th - Japanese flotillas join Allied forces in the Mediterranean (see February 8th, 1916, and November 15th, 1917). 17th - British ambulance transports "Lanfranc" and "Donegal" torpedoed and sunk in English Channel. 20th - Second German destroyer raid on Straits of Dover (night 20th/21st). Action by the "Swift" and "Broke" (left - Photo Ships) (see October 26th, 1916, and February 15th, 1918). 27th - Guatemala severs diplomatic relations with Germany (see April 23rd, 1918). 29th - General Petain appointed Chief of French General Staff (see December 3rd, 1915, and May 15th, 1917). 25th - Dr. A. Augusto da Costa succeeds Dr. A. J. d'Almeida as Portuguese Premier (see March 15th, 1916, and December 10th, 1917). 28th - United States Congress pass Bill for raising 500,000 men (see 6th, and May 18th). 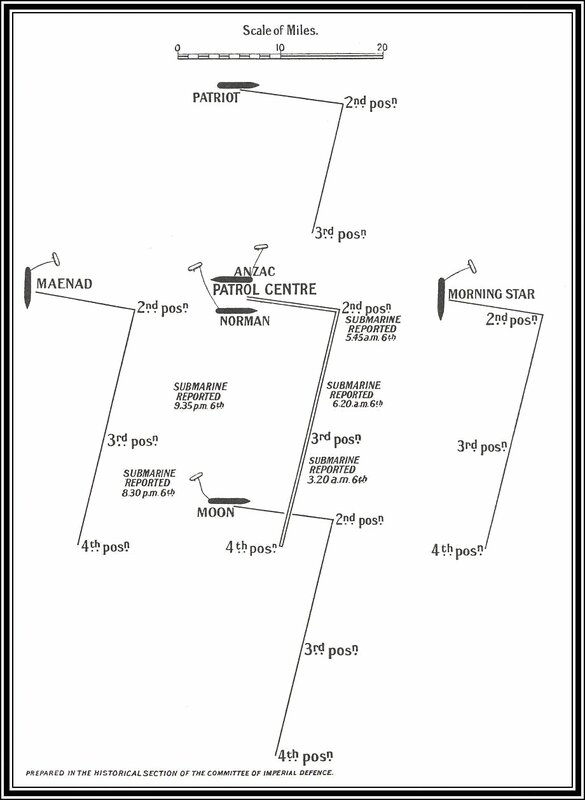 23rd - Second Battle of the Scarpe, 1917 (Arras) (23rd/24th) (see 9th, and May 3rd). 28th - Battle of Arleux (Arras) (28th/29th). 24th - First Battle of Doiran begins (first phase 24th/25th) (see May 9th). 24th - Samarra taken by British forces (23rd/24th). 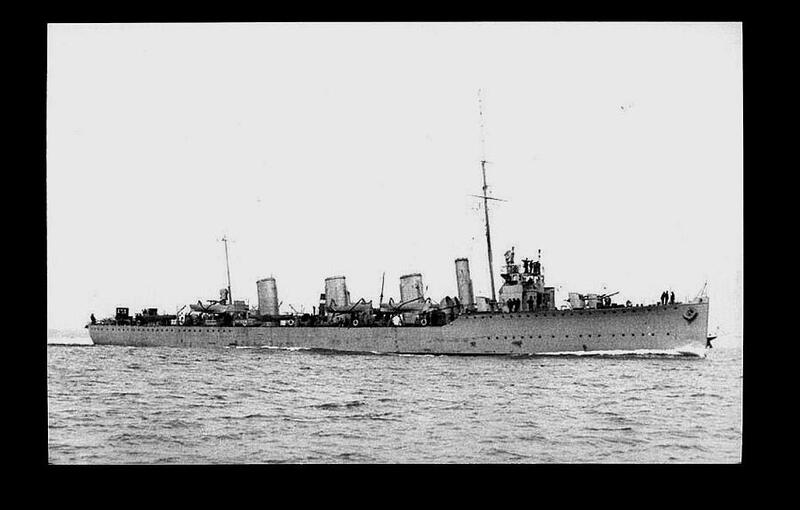 26th - Second German destroyer raid on Ramsgate (night 26th/27th) (see March 18th). 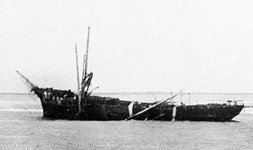 28th - S.S. "Medina", sunk by "UB.31"
Battles of Arras, 1917 continues. First Battle of Doiran continues. 30th – Mush, Armenia, occupied by Turkish forces (see August 24th, 1916). 5th - Liberia severs diplomatic relations with Germany (see August 4th). 2nd – Professor Lambros, Greek Premier, resigns and is succeeded by M. Zaimis (see October 10th, 1916, and June 24th, 1917). 2nd - Third Battle of the Scarpe, 1917 (Arras), begins (see 4th, and April 23rd). 2nd - Battle of Bullecourt (Arras) begins (see 17th). 4th - End of Third Battle of the Scarpe, 1917 (see 3rd) brings Battles of Arras, 1917, to an end (see April 9th). 4th - Craonne (Aisne) retaken by French forces (see September 1st, 1914, April 16th, 1917, and May 27th, 1918). 5th - Battle of the Vardar, Macedonia begins (see 22nd). 2nd - First United States destroyer flotilla arrives at Queenstown (see June 18th). 10th - Major-General J. Pershing appointed to command United States Expeditionary Force (sec June 8th). 7th - First night air raid on London. Single aeroplane by moonlight (see November 28th, 1916, and September 4th, 1917, and May 19th, 1918). Battle of the Vardar, Macedonia continues. 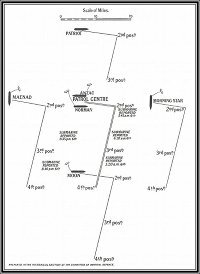 9th - First Battle of Doiran ends (second phase 8th/9th) (see April 24th, 1917, and September 18th, 1918). 12th - Tenth Battle of the Isonzo begins (see June 8th). 17th - Honduras severs diplomatic relations with Germany (see July 19th, 1918). 18th - Nicaragua severs diplomatic relations with Germany (see May 8th, 1918). 15th - General Foch succeeds General Petain as Chief of the French General Staff of French Ministry of War (see October 8th, 1914, and November 27th, 1917). 16th - M. Kerenski succeeds General Guchkov as Russian Minister for War (see March 15th and November 8th). M. Tereshchenko succeeds M. Milyukov as Russian Foreign Minister (see March 15th and November 8th). 19th - Russian Provisional Government issue declaration repudiating a separate peace. 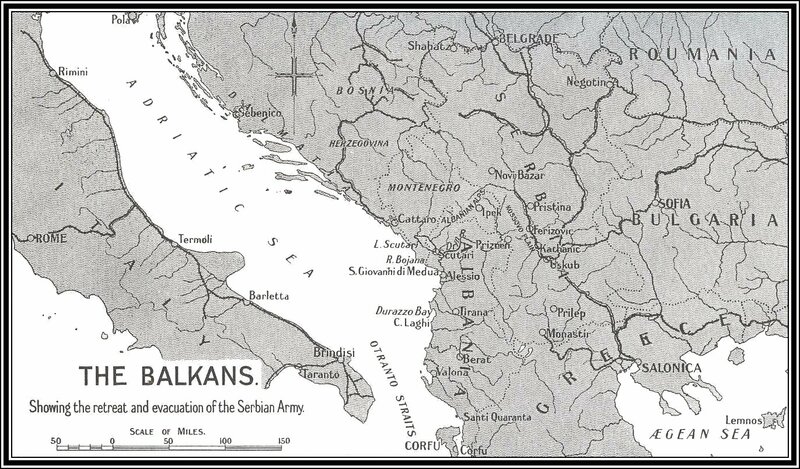 20th - Serbian Government transferred from Corfu to Salonika (see February 9th, 1916, and December 9th, 1918). 18th - Compulsory Service Act becomes law in the United States of America (see April 28th). 17th - Battle of Bullecourt ends (see 3rd). 15th - General Petain succeeds General Nivelle as Commander-in-Chief of French Northern and North-Eastern Groups of Armies (see April 29th, 1917, and November 19th, 1918). 19th - United States Government announce decision to send a Division of the United States Army to France at once (see June 25th). Tenth Battle of the Isonzo continues. 17th - The British Admiralty, following on a Cabinet decision, appoint a Committee, in conjunction with the Ministry of Shipping, to draw up a plan to convoy merchant ships (see June 14th and July 2nd). 14th - German airship "L.-22" destroyed in North Sea by British warships. 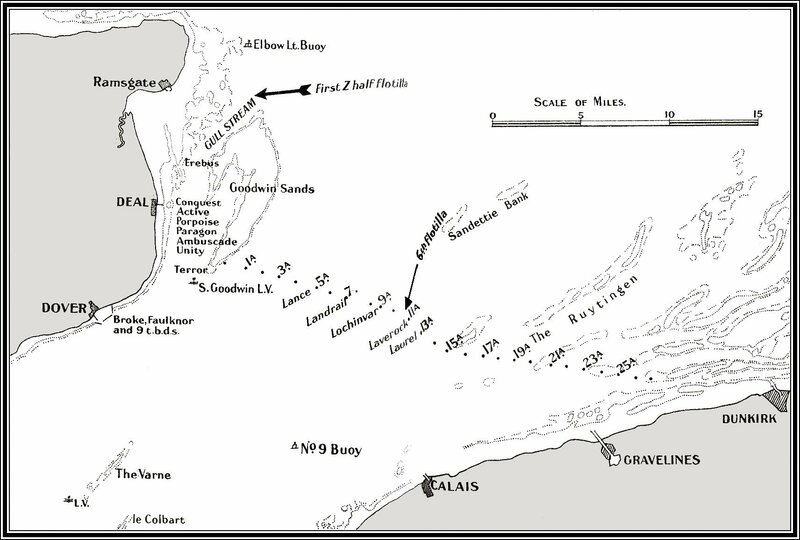 15th - Action between Austrian and British naval light forces in the Straits of Otranto: 14 British drifters sunk. 23rd - Count Tisza, Hungarian Premier, resigns (Appointed June 10th, 1913.) (see June 15th, 1917, and October 31st, 1918). 25th - First great aeroplane raid on England (Kent and Folkestone) to cause heavy casualties. Total 290, over half civilians (see December 21st, 1914, and July 20th and August 5th, 1918). 22nd - Battle of the Vardar ends (see 5th). 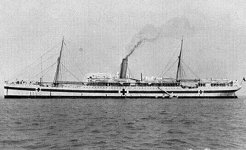 26th - British hospital ship "Dover Castle" sunk by submarine in the Mediterranean. 28th - Anglo-French Conference assembles in London to discuss the deposition of King Constantine of Greece and the occupation of Athens and Thessaly (continued on 29th) (see June 11th). 29th - Vossuq ed Douleh, Persian Prime Minister and Foreign Minister, resigns (see August 29th, 1916, June 6th, 1917, and August 7th, 1918). 30th - General van Deventer succeeds General Hoskins in command of British forces in East Africa (see January 20th). 3rd - Italy proclaims Protectorate over an independent Albania. 9th - Russian Provisional Government refuse a German proposal for an unlimited armistice. 6th - Ala es Sultaneh again appointed Persian Prime Minister and Foreign Minister (see May 29th and November 24th, 1917, and January 19th, 1918). 7th - Battle of Messines, 1917, begins (see 14th; also November 1st, 1914). 8th - Major-General Pershing arrives in England (see 13th, and May 10th). 4th - General Brusilov succeeds General Alexeiev as Russian Commander-in-Chief (see September 5th, 1915, and August 1st, 1917). 8th – Janina, Greece occupied by Italian forces. 8th - Tenth Battle of the Isonzo ends (see May 12th). 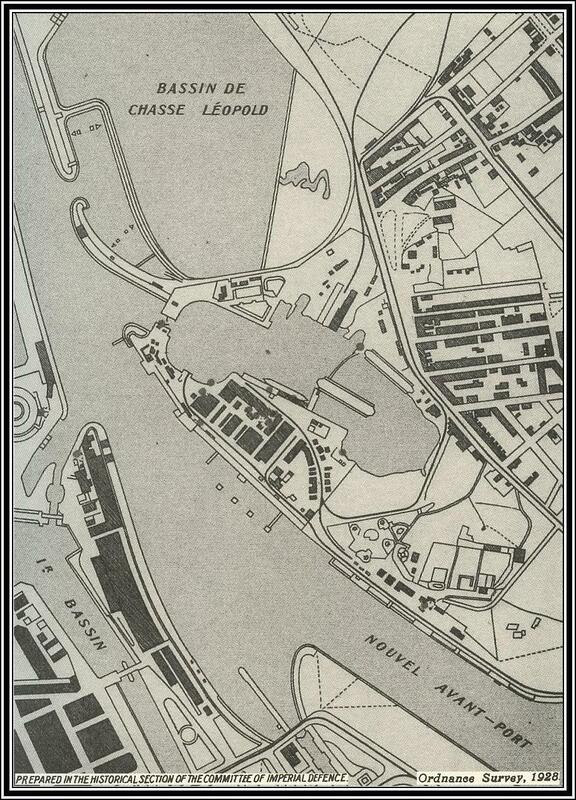 5th - German daylight aeroplane raid on Sheerness and the Naval establishments on the Medway. 11th - Santo Domingo severs diplomatic relations with Germany. 16th - Haiti severs diplomatic relations with Germany (see July 12th, 1918). 15th - Count Esterhazy appointed Hungarian Premier (see May 23rd and August 9th). 11th - Entente Governments present demand to Greek Government for abdication of King Constantine (see 12th, and May 28th). 12th - King Constantine of Greece abdicates in favour of his second son, Prince Alexander (see 11th). 13th - Major-General Pershing arrives in France (see 8th, find May 10th). 14th - Battle of Messines, 1917, ends (see 7th; also April 10th, 1918). 17th - Portuguese troops in action on Western Front for the first time (see August 8th, 1916, and January 3rd, 1917). 13th - Great German daylight aeroplane raid on London; 157 killed and 432 injured (see November 28th, 1916, and July 7th, 1917). 14th - German airship "L.-43" destroyed in the North Sea. 17th - German airship "L.-48" destroyed by aeroplane at Theberton in Suffolk. 12th - Corinth and Larissa occupied by Entente forces. 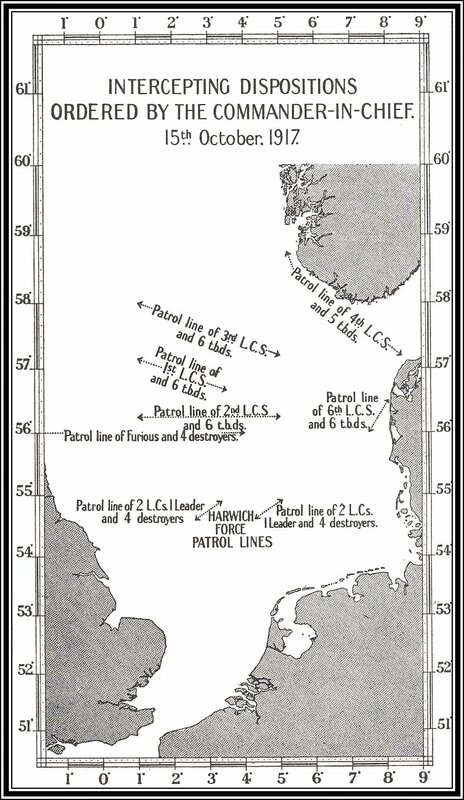 14th - The British Admiralty formally approve scheme for convoying merchant ships (see May 17th and July 2nd). 18th - Count Clam-Martinitz, Austrian Premier, resigns (see 23rd, and December 21st, 1916). 23rd - Dr. Ernst Ritter von Seidler appointed Austrian Premier (see 18th, and June 21st, 1918). 24th - M. Zaimis, Greek Premier, resigns (see May 3rd and June 26th). 19th - General Currie appointed to command Canadian troops in France. 18th - Admiral Sims, United States Navy, hoists his flag at Queenstown as acting C.-in-C. Irish Command (see April 9th and May 2nd). 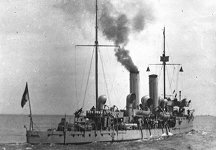 21st - Mutiny breaks out in the Russian Black Sea Fleet at Sevastopol (see March 16th, 1917, and May 1st, 1918). 27th - Diplomatic relations severed (by Greece) with Germany, Austria-Hungary and Turkey. Declaration of War by Provisional Government against Germany and Bulgaria of November 23rd, 1916, becomes effective for the whole of Greece. "State of War" also begins between Greece and Austria-Hungary and between Greece and Turkey (see 26th). 26th - M. Venizelos appointed Greek Premier (see 24th and 27th, and October 5th, 1915). 27th - M. Venizelos assumes power at Athens. 25th - First contingent of United States troops arrives in France (see May 19th). 29th - Russian Summer Offensive begins (see July 18th). 28th - General Allenby succeeds General Sir A. Murray as General Officer Commanding in Egypt (see March 19th, 1916). 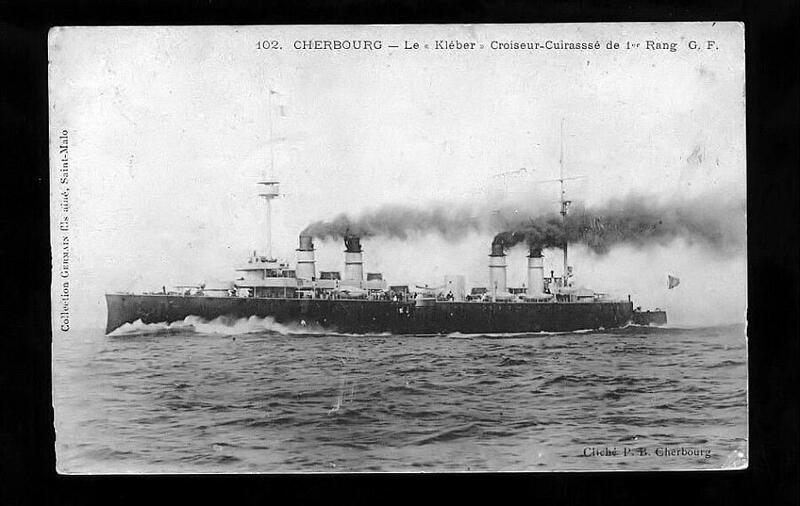 27th - French cruiser "Kléber" (below - Photo Ships) sunk by submarine, off Brest. 1st - Manchu Emperor (Hsuan-Fung) restored in China (see June 6th, 1916, and July 6th and 7th, 1917). 2nd - Agreement signed at The Hague for the exchange of combatant and civilian British and German prisoners of war (see May 13th, 1916). 6th - Conscription Bill carried in Canadian House of Commons (see October 12th). 6th - Li-Yuan-Hung, President of China, resigns and is succeeded by Feng-Kuo-Chang (see June 6th, 1916, July 7th, 1917, and October 11th, 1918). 7th - Manchu Emperor abdicates (see 1st and 6th). 7th - Severe aeroplane raid on England (Margate and London; casualties 250, mostly civilian: last on London by daylight) (see November 28th, and August 22nd, 1916, and May 19th and July 20th, 1918). 6th - Aqaba occupied by Arab forces. 8th - Russian forces begin withdrawal from Western Persia: Qasr-i-Shirin evacuated (see May 7th, 1916, March 25th, 1917, and January 8th, 1918). 2nd - First regular convoy of merchant ships sails from Hampton Roads (Va.) (Experimental convoys had been tried in May. Convoys outward from Great Britain did not start till August.) (see May 17th and June 14th). 4th - Ponta Delgada (Azores) shelled by a German submarine. 4th - Concerted attack by German submarines on United States transports defeated. 14th - Herr von Bethmann-Holweg, German Imperial Chancellor, resigns (appointed July 14th, 1909): succeeded by Dr. Michaelis (see October 30th). 15th - Dr. Artur von Zimmermann, German Foreign Minister, resigns (see November 21st, 1916, and August 5th, 1917). 11th - British attack on Ramadi (11th/14th). 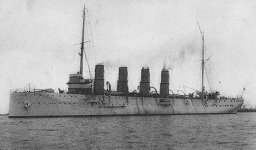 9th - H.M.S. "Vanguard" (below - Maritime Quest) sunk by internal explosion in harbour. 22nd - Siam declares war on Germany and Austria-Hungary. 17th - Proclamation issued changing name of British Royal House to Windsor. 19th - The Reichstag passes Resolution as to German War Aims (see January 24th, 1918). 19th - M. Kerenski succeeds Prince Lvov as Premier of Russia temporarily (see March 15th and August 6th). 18th - German Counter-offensive on the Eastern Front: Battle of East Galicia begins (see 28th, and June 29th). 22nd – First phase of Battle of Marasesti begins (see August 1st). 19th - Action of Narungombe. 9th - Sir Edward Carson, First Lord of the Admiralty, Great Britain, tenders his resignation (see December 12th, 1916, and September 6th, 1917). 25th - Full Inter-Allied Conference assembles in Paris to discuss the Balkan situation, with military, naval and political committees to discuss plans in view of a probable collapse of Russia (Conference continued on 26th). 27th - Agreement concluded between French and Italian Governments defining respective zones of influence in Asia Minor (see August 18th). 28th - Tank Corps formed in British Army (see September 15th, 1916). 24th - Stanislau (see August 10th, 1916) and Tarnopol in Galicia retaken by Austro-German forces (see 18th). 28th - Battle of East Galicia ends (see 18th). First phase of Battle of Marasesti continues. 31st - Battles of Ypres, 1917 (British), begin with Battle of Pilckem Ridge (see August 2nd and November 10th, 1917, and May 25th, 1915). 30th - Zaleszezyki (Galicia) recaptured by Austro-German forces (see June 12th, 1916). 1st - The Pope sends Note to belligerent Governments appealing for peace (see July 30th, 1915). 4th - Liberia declares war on Germany (see May 5th, 1917, and April 10th, 1918). 4th - Baron de Broqueville resigns as Belgian Minister for War (appointed February 28th, 1914) and succeeds Baron Beyens as Minister for Foreign Affairs (see January 18th, 1916, and January 1st, 1918). Lieut.-General A. de Ceuninck appointed Minister for War (see November 21st, 1918). 2nd - Battle of Pilckem Ridge (Ypres) ends (see July 31st). 1st - General Kornilov succeeds General Brusilov as Russian Commander-in-Chief (see June 4th and September 8th). 3rd - Czernowitz (Bukovina) retaken by Austro-German forces (see June 17th, 1916). 1st - End of first phase of Battle of Marasesti (see July 22nd). 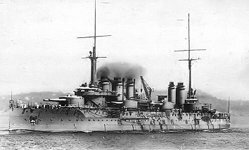 3rd - Mutiny breaks out in German Fleet at Wilhelmshaven (see November 3rd, 1918). 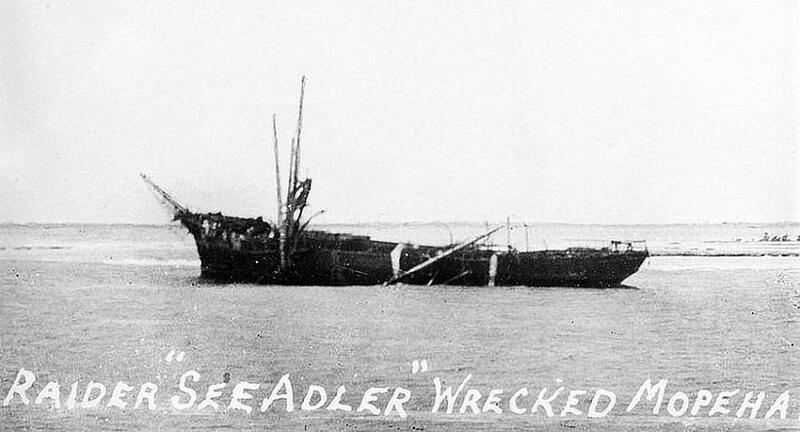 2nd - German commerce raider "Seeadler" wrecked (below - Photo Ships) on Mopelia Island, Pacific (see November 22nd, 1916). 9th - Count Esterhazy, Hungarian Premier, resigns (see 21st, and June 15th). 6th - M. Kerenski definitely appointed Prime Minister of Russia (see July 19th, September 10th, and November 8th). Battles of Ypres, 1917, continue. 6th - Second phase of Battle of Marasesti begins (see 1st, and September 3rd). 14th - China declares war on Germany and Austria-Hungary (see March 14th). 18th - British, French, and Italian Governments conclude provisional arrangement with regard to future policy in Asia Minor (see May 16th, 1916, and July 27th, 1917). 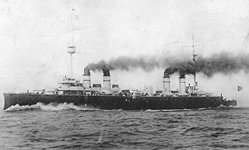 17th - M. Cochin succeeded by M. Metin as French Under-Secretary for Blockade (see March 20th, 1916, and November 16th, 1917). 15th - Battle of Hill 70 (Lens) begins (see 25th). 16th - Battle of Langemarck, 1917 (Ypres), begins (see 18th). 18th - Battle of Langemarck, 1917 (Ypres), ends (see 16th). Second phase of Battle of Marasesti continues. 17th - Eleventh Battle of the Isonzo begins (see September 12th). 21st - Ministry of Reconstruction formed in Great Britain. 21st - Dr. Wekerle appointed Hungarian Premier (see 9th and April 17th, 1918). 20th - "Second Offensive Battle" of Verdun (French) begin (French name and dates.) (see December 15th, 1917, and December 18th, 1916). 25th - Battle of Hill 70 (Lens) ends (see 15th). 21st - German airship "L.-23" destroyed in North Sea. 22nd - Last German aeroplane raid on England by daylight (see July 7th and September 2nd). Eleventh Battle of the Isonzo continues. 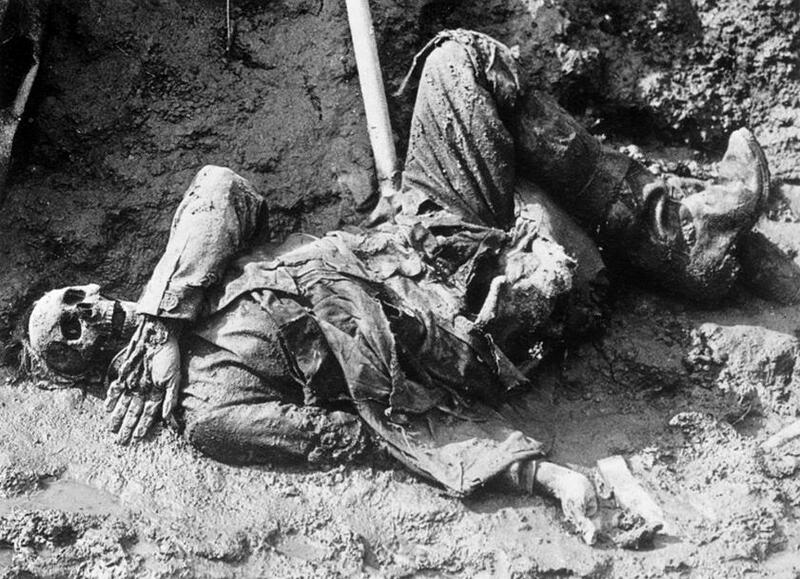 "Second Offensive Battle" of Verdun. 2nd - First German aeroplane raid on England by moonlight by more than one aeroplane (see 4th, and May 7th). 1st - Battle of Riga begins (see 3rd and 5th). 4th - Anglo-French Conference assembles in London to discuss the question of military assistance to Italy (see 25th). 9th - M. Ribot, French Premier and Foreign Minister, resigns (see 12th, and March 20th). 8th - General Kornilov heads revolt against Russian Provisional Government and marches on Petrograd (see 10th and 13th, and August 1st). 3rd - Severe aeroplane raid on Kent by moonlight (casualties about 230, mostly military). 4th - German aeroplanes for the first time raid London by night in force (see 2nd). 5th - Battle of Riga ends (see 1st and 3rd). 3rd - Riga captured by German forces (see 1st and 5th, and October l6th). 3rd - Battle of Marasesti ends (see August 6th). 6th - Sir Eric Geddes appointed First Lord of the Admiralty, Great Britain (see July 19th). 4th - German submarine bombards Scarborough, Yorkshire. 11th - First party of repatriated British prisoners reaches England from Switzerland (see May 13th, 1916). 12th - Central Powers proclaim grant of temporary Constitution to Poland (see April 5th and October 15th, 1917, and January 10th, 1918). 12th - M. Painleve succeeds M. Ribot as French Premier (see 9th, and November 14th). M. Ribot reappointed French Foreign Minister (see 9th, and October 23rd). 15th - Russia proclaimed a Republic by the Provisional Government (see 10th). 10th - M. Kerenski assumes Dictatorship of Russia (see August 6th and November 8th) and issues proclamation declaring General Kornilov a traitor (see 8th and 13th). 13th - General Kornilov's revolt collapses (see 8th, 10th and 14th). 14th - General Kornilov surrenders to the Provisional Government (see 13th). 12th - Eleventh Battle of the Isonzo ends (see August 17th). 20th - Council of Trans-Caucasian peoples, i.e., Armenia, Georgia, Azerbaijan, and Daghestan, proclaim Trans-Caucasia a federal Republic (see April 22nd, 1918). 21st - Costa Rica severs diplomatic relations with Germany (see May 23rd, 1918). 20th - Battle of the Menin Road Ridge (Ypres) begins (see 25th). 22nd - Jakobstadt (Baltic) stormed by German forces (21st/22nd). 25th - Anglo-French Conference assembles in Boulogne to discuss an Italian offensive and the extension of the British front in France (see 4th). 25th - Battle of the Menin Road Ridge (Ypres) ends (see 20th). 26th - Battle of Polygon Wood (Ypres) begins (see October 3rd). 28th - Action of Ramadi (28th/29th). 5th - Peru severs diplomatic relations with Germany. 7th - Uruguay severs diplomatic relations with Germany. 3rd - Battle of Polygon Wood (Ypres) ends (see September 26th). 4th - Battle of Broodseinde (Ypres). 6th - Major-General Pershing, Commanding United States Army in France, promoted General (see June 13th). 2nd - H.M.S. 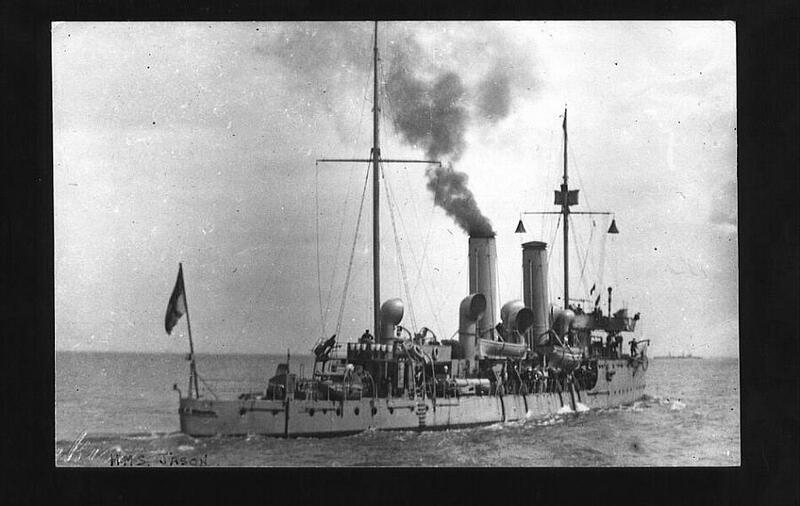 "Drake" (below - Navy Photos) sunk by submarine in the North Channel. 12th - Canadian War Cabinet formed. 12th - Compulsory Service Act comes into operation in Canada (see July 6th). 9th - Hussein Kamel, Sultan of Egypt, dies. Succeeded by Prince Ahmed Fuad, his youngest brother. (See December 19th, 1914). 9th - Battle of Poelcapelle (Ypres). 12th - First Battle of Passchendaele (Ypres) (see 26th). 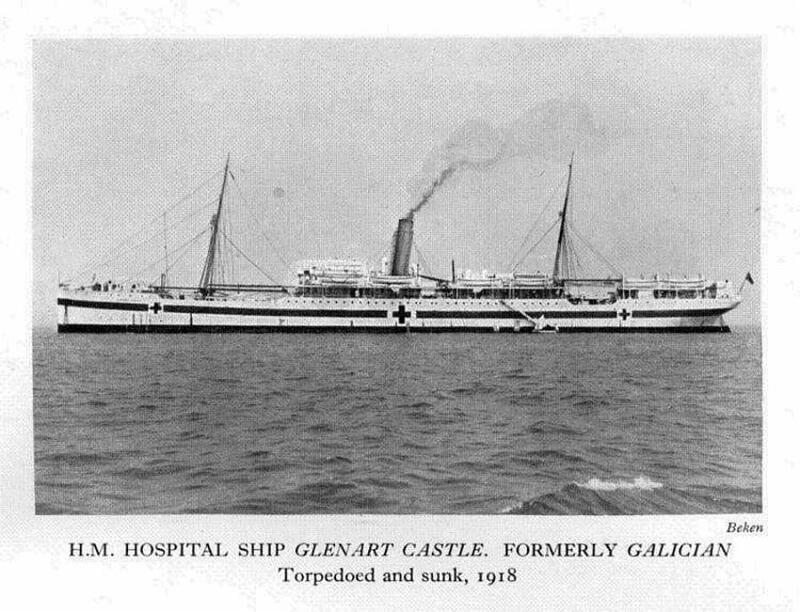 10th - British hospital ship "Goorkha" damaged by mine off Malta. 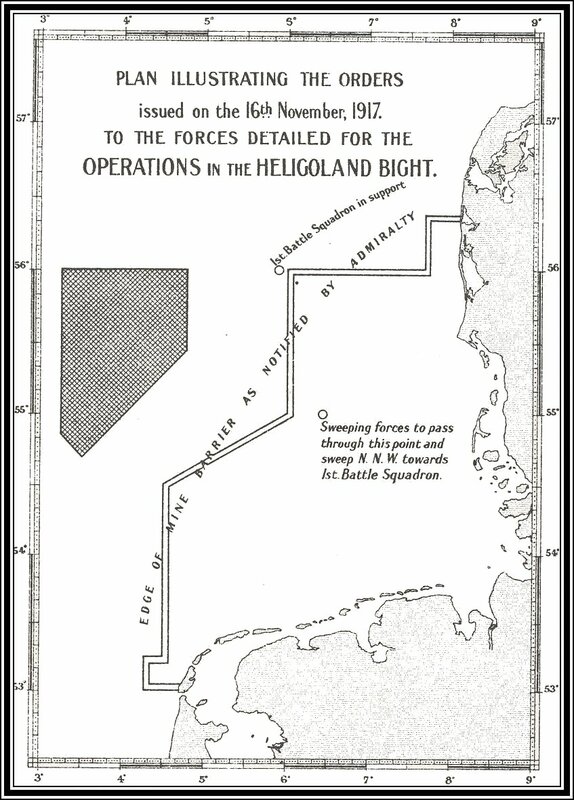 11th - German operations against the Baltic Islands begin (see 12th). 12th - Osel Island, Baltic, captured by German forces. Operations not completed until the 16th. (see 11th and 18th). 15th - Polish Regency Council appointed (see Septembor 12th). 21st - Turkish attack on Arab stronghold at Petra repulsed. 16th - Action of Nyangao, German East Africa, begins. 19th - Action of Nyangao ends. 16th - Naval action in Gulf of Riga. 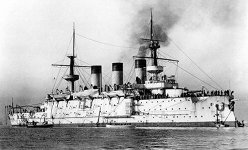 Russian battleship "Slava" (below - Pat Gariepy) sunk (see September 3rd). 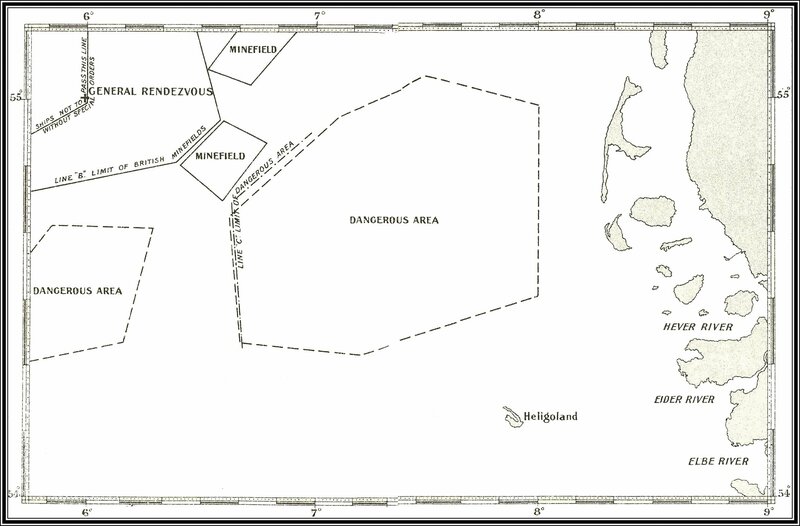 18th - Moon Island and Dago Island, Baltic captured by German forces (see 11th and 12th). 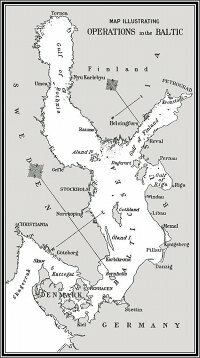 20th - German conquest of the Baltic Islands completed (see 11th, 12th and 18th). 26th - Brazil declares war on Germany (see April 11th). 23rd - M. Barthou succeeds M. Ribot as French Foreign Minister (see September 12th and November 14th). 25th - Signor Boselli, Italian Premier, resigns (see 29th, and June 15th, 1916). 26th - Second Battle of Passchendaele (Ypres) begins (see 12th, and November 6th and 10th). 23rd - Battle of La Malmaison (Aisne) begins (see November 1st). 24th - Twelfth Battle of the Isonzo begins: Austro-German offensive (see December 26th). 28th - Gorizia retaken by Austro-German forces (see 24th). Udine (Venetia) captured by Austro-German forces (see 24th). 27th - Third Battle of Gaza begins (see April 19th and November 7th). 29th - Signor Orlando appointed Italian Premier (see 25th). Twelfth Battle of the Isonzo: Austro-German offensive continues. 1st - Ministry of National Service formed in Great Britain (see December 19th, 1916). 1st - Battle of La Malmaison ends (see October 23rd). 3rd - Arrival of French troops in Italy announced (see 4th). 4th - Arrival of British troops in Italy announced (see 3rd, and June 30th, 1918). 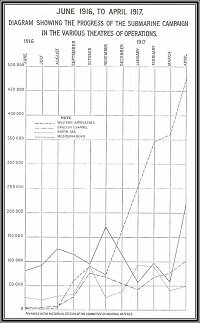 3rd - Agreement concluded between British, French and Italian Governments for provision of tonnage for the Allied food programme (see November 10th, 1915, January 6th and December 3rd, 1917). 2nd - Raid by British naval light forces on the Kattegat (see April 15th, 1918). 7th - Allied Conference at Rapallo. Inception of Supreme War Council (see 27th). 8th - Bolshevik coup d'etat in Petrograd. M, Lenin and M. Trotski assume power. Former succeeds M. Kerenski as Premier and latter succeeds M. Tereshchenko as Foreign Minister (see 13th, May 16th, and August 6th). "Second Offensive Battle" of Verdun continues. 6th - Passchendaele captured by British (Canadian) forces (see October 26th, 1917, and April 16th, 1918). 10th - Second Battle of Passchendaele ends (see October 26th) and Battles of Ypres, 1917, end (see July 31st, 1917, and September 28th, 1918). 7th - General Cadorna relieved of the command of the Italian Armies (see May 23rd, 1915, and November 27th, 1917). Succeeded by General Diaz. 11th - Austro-German forces reach the Piave (see October 24th). 7th - Third Battle of Gaza ends (see October 27th). 5th - Action of Tikrit. 6th - Tikrit occupied by British forces (see 5th). 14th – M. Painleve, French Premier and War Minister, resigns (see 16th, and September 12th). M. Barthou, French Foreign Minister, resigns (see 10th, and October 23rd). 16th - M. Clemenceau appointed French Premier and War Minister (see 14th). M. Stephen Pichon appointed French Foreign Minister (see 14th). M. Jonnart succeeds M. Motin as French Minister for Blockade (First Minister: formerly Blockade was under an under-Secretary.) (see 23rd, and August 17th). 13th - Kerenski's forces defeated by Bolsheviki near Petrograd (see 8th and 15th). 15th - M. Kerenski flees from Petrograd (see 13th). 3th - Action of El Mughar. 16th - Jaffa taken by British forces. 17th - Battle of Nebi Samwil begins (see 24th). 18th - General Sir S. Maude, Commander-in-Chief in Mesopotamia, dies at Baghdad (see August 28th, 1916): succeeded by Lieut.-General Sir W. E. Marshall. 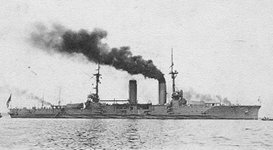 15th - Japanese Government unable to comply with request of British Government that two Japanese battle cruisers should join the Grand Fleet in the North Sea (see February 8th, 1916, and April 17th, 1917). 20th - Ukrainian People's Republic proclaimed (see January 3rd, November 15th, and December 26th, 1918). 21st - Armistice pourparlers begun by Russian Bolshevik Government with Central Powers (see 8th, 27th and 30th). 23rd - M. Lebrun succeeds M. Jonnart as French Minister for Blockade (see 16th). 24th - Ain ed Douleh succeeds Ala es Sultaneh as Persian Prime Minister (see June 6th, 1917, and January 19th, 1918). 20th - Battle of Cambrai, 1917, begins (see 30th, and December 3rd). 24th - Battle of Nebi Samwil ends (see 17th). 25th - German force under Colonel von Lettow-Vorbeck effects passage of the Rovuma and defeats Portuguese force at Ngomano. German operations in Portuguese East Africa begin (see December 1st, 1917, and September 29th, 1918). 23rd - German airship "L.-59" reaches East Africa, but turns back without alighting. 25th - German airship "L.-59" returns to Yambol from flight to East Africa. 27th - Members of Supreme Council appointed - General Sir H. H. Wilson, General F. Foch, General Cadorna, and General Bliss (see 7th). 27th - First meeting of Russian and German delegates behind German lines to arrange for armistice (see 21st and 30th). 28th - Estonia declared independent by the local Diet (see January 13th, 1918). 29th - First meeting of Great Inter-Allied Conference opens in Paris. 30th - Austro-Hungarian Government accept Bolshevik proposals to negotiate for an armistice and peace (see 21st, and December 3rd). 29th - Air Force (Constitution) Act, 1917, comes into operation in Great Britain (see December 21st, 1917, and January 3rd, 1918). 30th - The German counter-attacks at Cambrai begin (see 20th, and December 3rd). 28th - German force under Captain Tafel surrenders to the British in the Mwiti Valley, German East Africa. 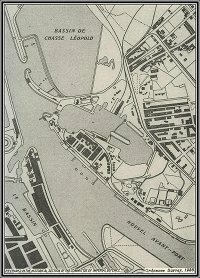 30th - Allied Naval Conference formed in London (see January 24th). 1st - Permanent Allied Supreme War Council inaugurated (see November 7th, 1917, and February 3rd, 1918). 2nd - Suspension of hostilities between the Russian and German Armies begins (The actual suspension of hostilities took place on dates fixed by the local Army Commanders in anticipation of truce arranged between the official negotiators) (see 8th). 1st - The last German forces driven out of German East Africa into Portuguese territory (approximate date) (see November 25th). 3rd - First session of armistice delegates (also known as "Truce Delegates" and "Peace Delegates.") at Brest-Litovsk—Bolshevik Russia, and Bulgaria, Germany, Austria-Hungary, and Turkey (see 6th, and November 30th). 7th - United States of America declare war on Austria-Hungary (see April 8th). 7th - Ecuador severs diplomatic relations with Germany. 9th - Armistice ("Truce of Focsani") signed between Rumania and Central Powers (see 6th, and November 10th, 1918). 3rd - Battle of Cambrai, 1917, ends (see November 20th, 1917, and October 8th, 1918). 6th - Truce arranged between Russia and Bulgaria, Central Powers and Turkey from 7th to 17th. Negotiations suspended (see 3rd and 13th). 7th - Truce between Russia and Central Powers comes into operation officially (see 2nd and 6th). 8th - All hostilities on the Eastern front suspended (see 2nd). 6th - Hostilities between Rumania and Central Powers suspended (see 9th and 10th, and March 5th, May 7th, and November 10th, 1918). 9th - Jerusalem surrenders to British forces (see 11th). 3rd - Allied Conference in Paris resolve to establish an Allied Maritime Transport Council (see January 6th and November 3rd, 1917, and February 15th, 1918). 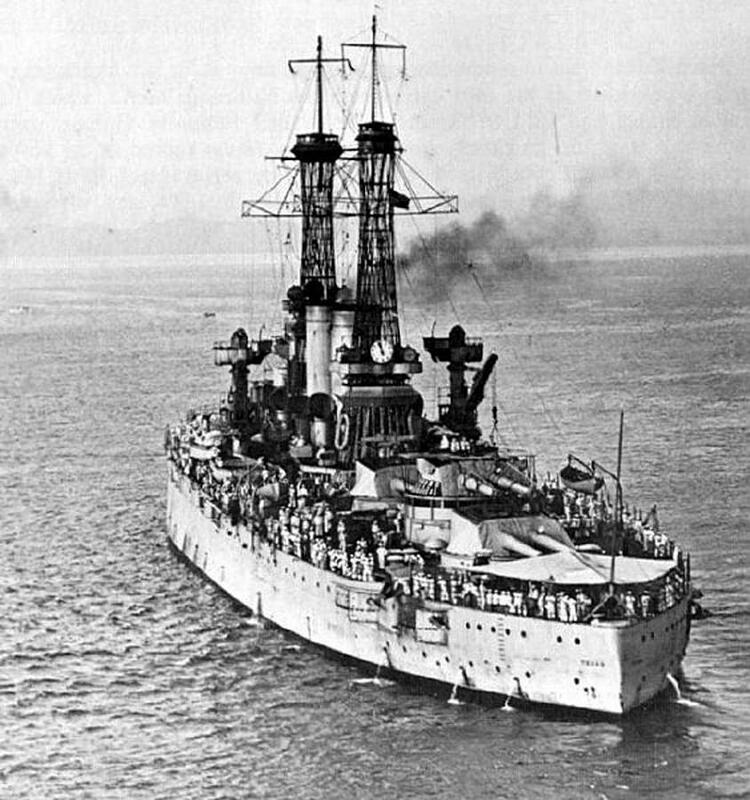 6th - United States Battleship Division (including U.S.S. "Texas", left), under Rear-Admiral Rodman, joins Grand Fleet at Scapa Flow. 9th - Italian naval raid on Trieste harbour (night 9th/10th). 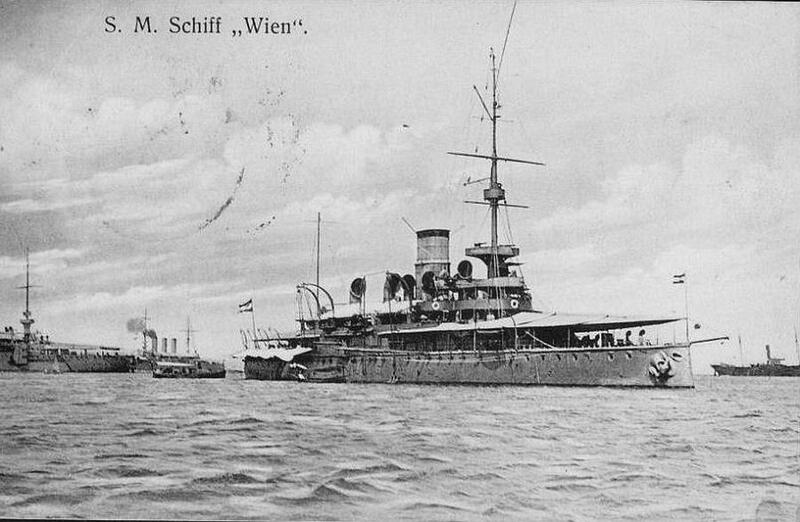 Austrian battleship "Wien" (left) sunk. 13th - Armistice negotiations on Russian front resumed (see 6th and 15th). 15th - Armistice signed at Brest-Litovsk between Russian Bolshevik Government and Bulgaria, Central Powers and Turkey, to begin at noon December 17th, and terminate January 14th, 1918 (see 13th and 22nd). 11th - Russian Constituent Assembly meet in Petrograd (see 13th). 13th - Russian Constituent Assembly dispersed by Bolsheviki (see 11th, and November 8th, 1917, and January 19th, 1918). 15th - "Second Offensive Battle" of Verdun (French) ends (see August 20th). 10th - Hostilities between Rumania and the Central Powers cease (see 6th). 14th - General Sarrail recalled from Salonika (see 22nd, and January 16th, 1916). 11th - General Allenby makes formal entry into Jerusalem (see 9th). 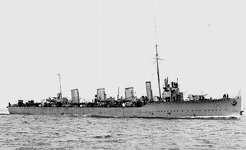 12th - German destroyers raid British convoy in the North Sea and sink H.M.S. "Partridge" (see October 17th). 12th - Funchal (Madeira) shelled by German submarine (see December 3rd, 1916). 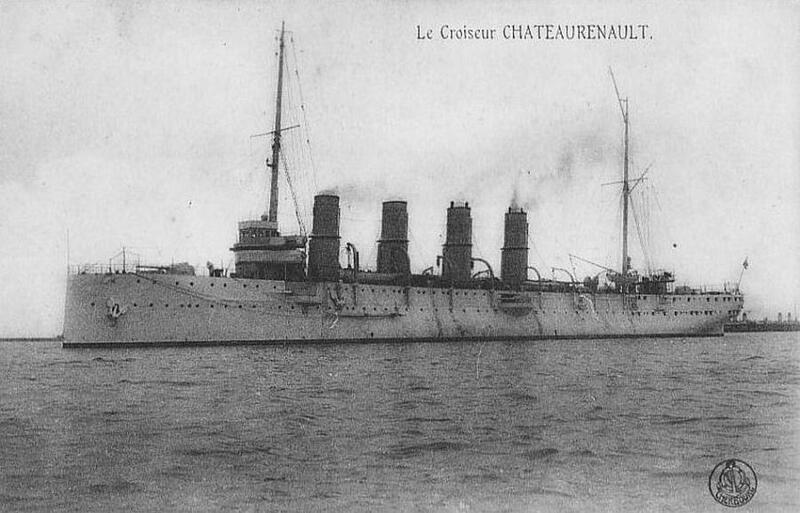 14th - French cruiser "Château Renault" (below - Photo Ships) sunk by submarine. 17th - British Government give the King of the Hejaz (see December 15th, 1916, and February 4th, 1918) written assurance of the future independence of the Arab people. 17th - Armistice between Russia and Central Powers begins (see 15th). 22nd - Peace negotiations between Russian Bolshevik Government and Bulgaria, Central Powers and Turkey opened at Brest-Litovsk (see 15th, and January 5th, 1918). 22nd - Secret Convention signed at Brest-Litovsk between Germany and Russian Bolshevik Government concerning Poland. 23rd - Independent Moldavian Republic (Bessarabia) proclaimed at Kishinev (see April 9th, 1918). 21st - British Government issue Order in Council instituting the Air Council (see November 29th, 1917, and January 3rd, 1918). 22nd - Lieut.-General Sir B. C. Maxwell, Quartermaster-General, B.E.F; France, resigns (see 23rd, and January 27th, 1915). 23rd - Lieut.-General Sir T. E. Clarke, appointed Quartermaster-General, B.E.F., France (see 22nd). 22nd - General Guillaumat appointed Allied Commander-in-Chief at Salonika (see 14th, and June 6th, 1918). 21st - Battle of Jaffa begins. 22nd - Battle of Jaffa ends. 28th - French Foreign Minister in speech outlines French War Aims (see January 5th, 1918). 26th - Twelfth Battle of the Isonzo ends (see October 24th). 26th - British defence of Jerusalem begins. 30th - British defence of Jerusalem ends. 26th - Admiral Sir John Jellicoe, First Sea Lord, Great Britain, resigns (see 27th, and December 4th, 1916). 27th - Admiral Sir Rosslyn Wemyss appointed First Sea Lord, Great Britain (see 26th).